Click on Each Image and go to each Etsy Shop! 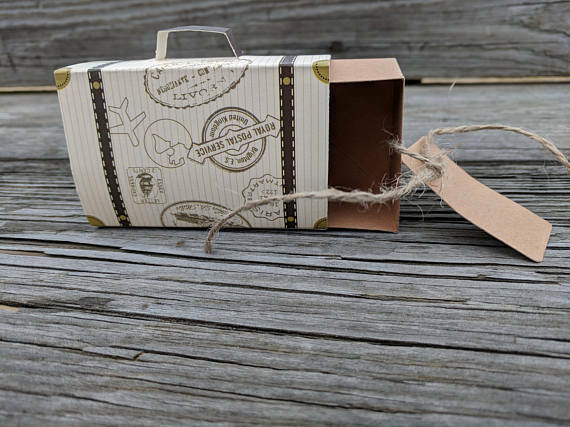 Cute Boxes: These beautiful little boxes are a perfect souvenir that guests can later put on their bookshelves, putting your wedding next to other classic love stories. 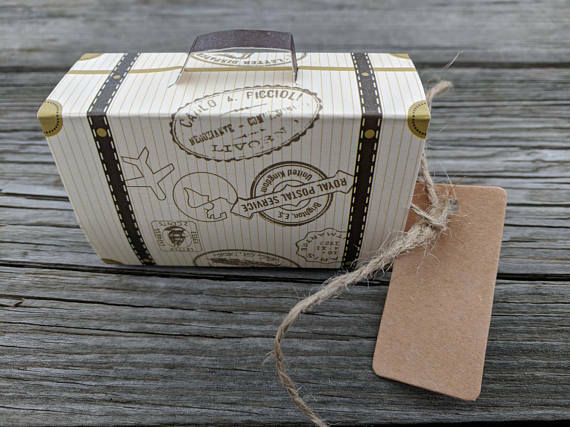 Perfect for destination weddings, these little suitcase boxes are adorable! 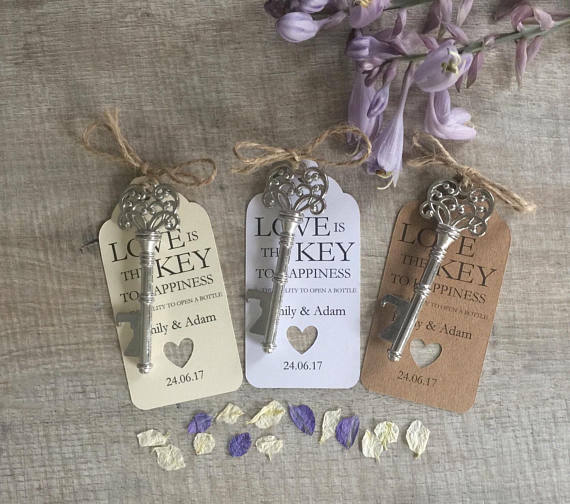 Fans: Your guests will really become FANS of your wedding party (sorry, just keeping with the pun theme there) when they take home this trinket. 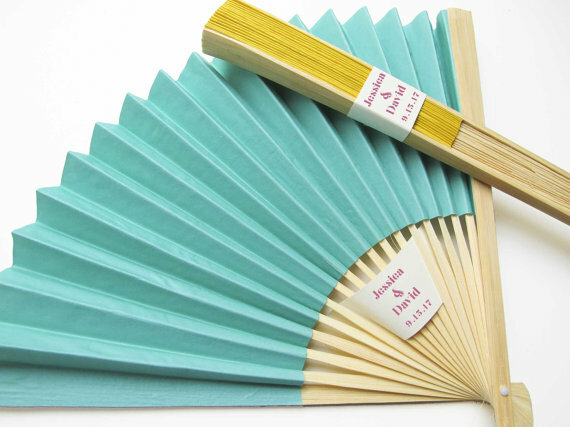 Your friends and family can use them on a hot day and they can also use them as a wall decoration. Tea or Coffee Samples: "Love is Brewing." 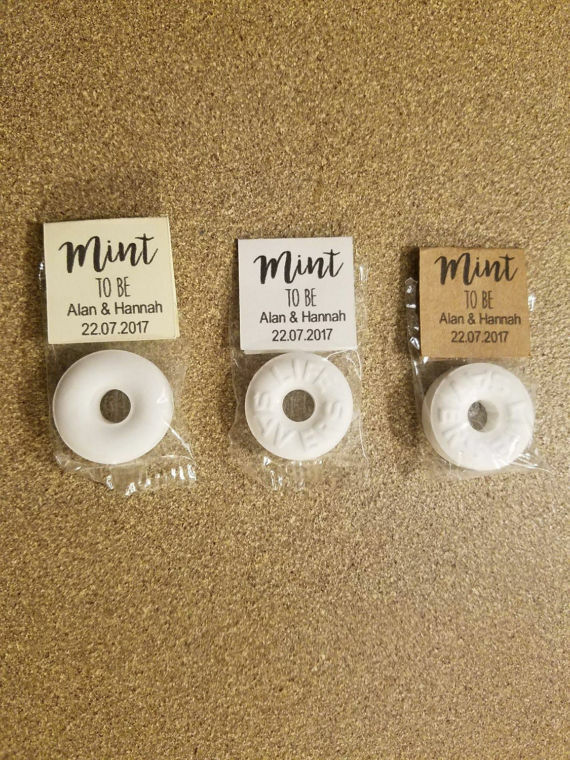 Best part about these wedding favors are that they are practicable. The cute little tea and coffee bags will transform into a cup of goodness. 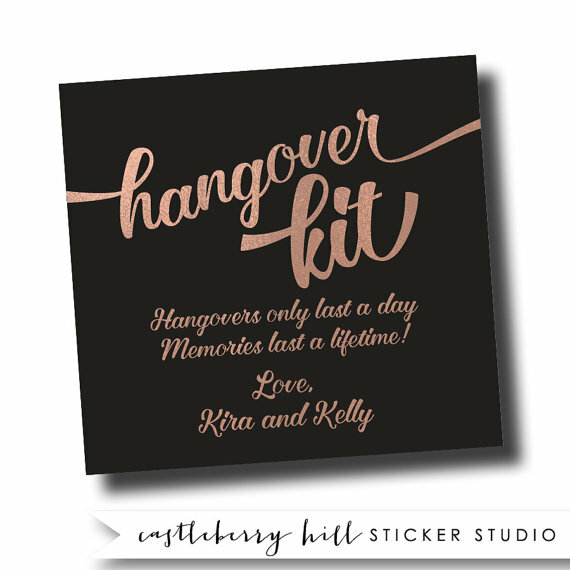 Hangover Kits: "Love is the best medicine." 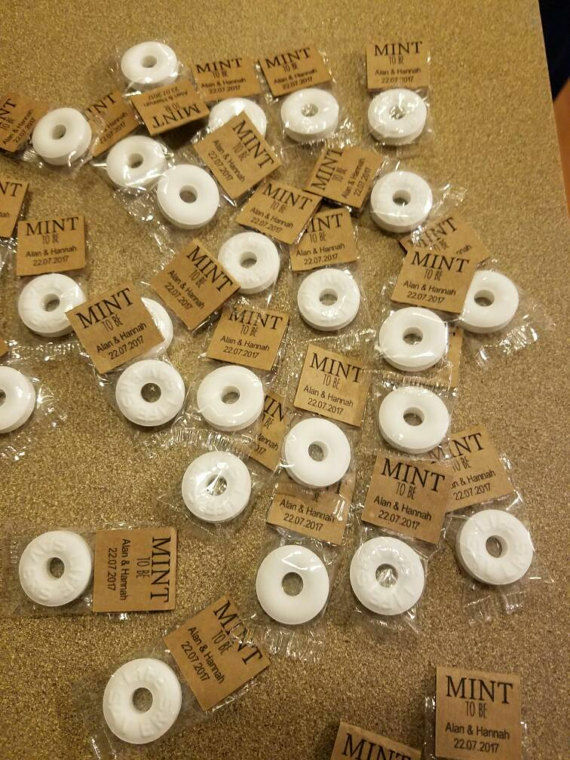 Can you think of a better take-home gift from a wedding?! Perfect for the open bar receptions! 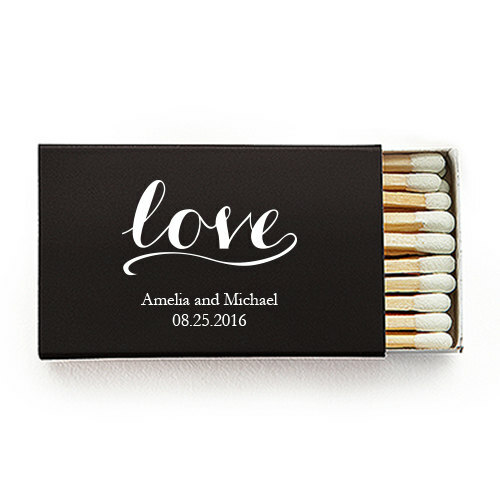 Matches: "It's the Perfect Match." Another practical gift. Personalize it to represent your love. 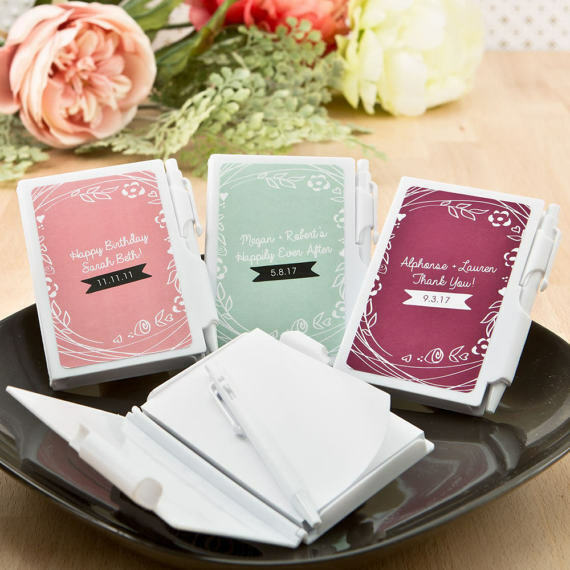 Playing Cards: The joy of your wedding day can live on and be remembered while your guests play cards with friends in a cabin or do card tricks to impress a niece or nephew. Key Bottle Openers: Bottle openers always come in handy, whether for beer or even a cream soda. These key bottle openers though aren't just practical. They are dainty with an antique look. Thank You Tags: These pretty little tags are a nice way to say thank you. The vintage library card tag is original and perfect for book lovers and lovers of nostalgia.